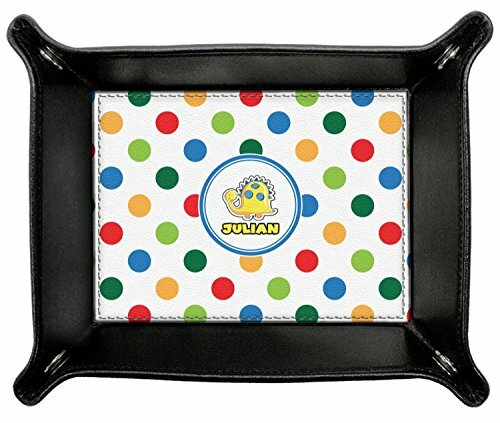 Colorful and popular bright colored polka dots scream fun and whimsical and will be a hit with your little one. Using colors of Blue, red, greens, and orange decorating will be a snap. A white label trimmed in coordinating blue showcases a cute yellow dinosaur. Add personalization of your choice for this special pattern.